Artistic Director Kip Williams said: “In the wake of Hillary Clinton’s election loss, the monumental Women’s Marches, and the global reckoning underway examining sexual harassment in the workplace, director Imara Savage and I thought that the time was ripe for a revival of Churchill’s masterpiece; her extraordinary play Top Girls. Written in 1982, Top Girls introduces us to the high-flying Marlene, a woman caught in a quandary over the demands of a flourishing career and the familial responsibilities of her past. It asks questions of equality, feminism, privilege, capitalism, and motherhood that resonate today as much as they did in the early Thatcher era in which the play was conceived. For more details, read our synopsis. British playwright Caryl Churchill wrote Top Girls in 1982, and it is now Churchill’s best-known, most-produced play. STC presented her recent play Love and Information in 2015, and our production of Cloud Nine was met with critical and audience acclaim in 2017. For more details, see our quick intro to Caryl Churchill. WHAT’S WITH THE OVERLAPPING DIALOGUE? Top Girls is one of theatre’s earliest examples of the scripted use of overlapping dialogue. Churchill indicated overlapping dialogue by marking the beginning of concurrent lines with a forward slash. This innovative device has since become standard practice for playwrights. Upon its premiere, the play and its overlapping conversation was recognised as formally pioneering, containing all the theatrical inventiveness that Churchill has come to be known for. WHO ARE THE DINNER GUESTS? 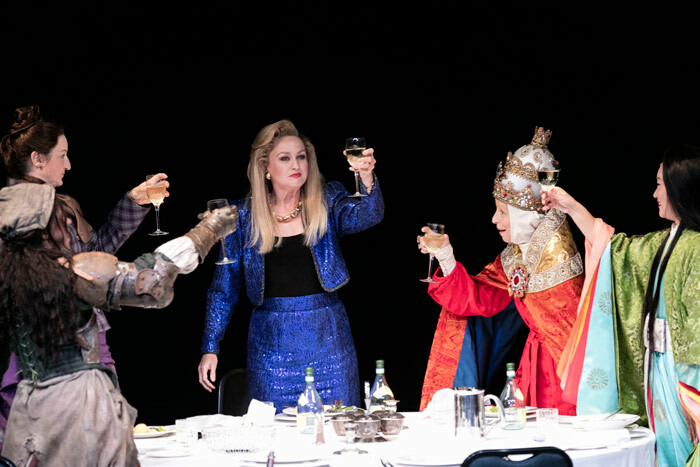 You may have seen Top Girls at Sydney Theatre Company, but not for 25 years! Our first production of Top Girls was presented in 1993. 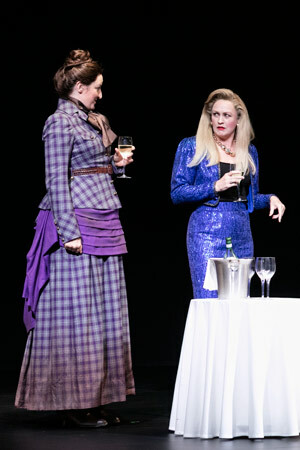 It was directed by Melissa Bruce with a stellar Australian cast including Cate Blanchett in her first appearance at STC. For more info and photos, see our Churchill archive.